Sylvia Plath, as everybody knows—but as she did not, on the autumnal Tuesday that she was writing about baked pineapples to her mother and about being menaced by gods in her diary—committed suicide on February 11, 1963. And as the destructive energy released by a suicide goes fissuring chaotically into the future—into family, friends, society at large—so it also blows backward into the past. It changes everything. It’s what makes the garden-variety bipolar shuffle I have rather cheaply highlighted above not human and sad-funny, but terrible. And it demands, as we contemplate the massive second volume of her collected letters—which begins in 1956 with the line “What a lovely birthday I had!” and ends a week before her death with “I am incapable of being myself & loving myself. Now the babies are crying, I must take them out to tea”—that we examine ourselves. Is there a way, we must ask, to read this stuff with anything other than a kind of souped-up literary prurience? Magnetized, breathless to the impending smash? Before we go there, though, let’s salute the muscular act of scholarship, the marathon of archivism, that has produced this book. 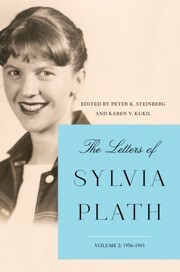 Plath was a diverse and voluminous correspondent, and the editors, Peter K. Steinberg and Karen V. Kukil, have collected it all: 575 letters, to 108 recipients. Nearly 1,000 pages. And that’s on top of their first, comparably tomelike volume, published in 2017. This will not have to be done again. As a reading experience, Volume 2 provides, in the way of these things, an overload of material and a lack of transmutation. It’s not art, in other words, and why would it be? These are first takes, recorded at different pressures; some of them are more worked-upon than others. Plath is of course the structural center, but as she spins through her voices—gushing, intimate, secretarial-professional, rapturous, vicious, recriminatory, coldly lyrical—the text decenters and decenters again. What carries us through, inevitably, is the narrative pull, the death-drag, of the end point. Especially dominant in this gallery of personae are Plath the daughter and Plath the hustler. They are twinned, in a way, the former chronicling for her mother the activities of the latter. (August 13, 1958: “The Christian Science Monitor bought my little 3-page descriptive article about the countryside … The Sewanee Review has just accepted a poem of mine, which should bring about $20.”) Plath was a tireless advocate for her own work and for Hughes’s, and her faith in his gifts, in particular, ensures that the brazenness of their attempt to make a living from poetry never quite overcomes her. The first five Beuscher letters are newsy and full of beans: Plath has two babies, publishes The Colossus, writes The Bell Jar, rhapsodizes over her extraordinary husband and interesting life. But the fourth, from January 4, 1961, also ominously records a terrible fight with Hughes’s formidably possessive/protective sister, Olwyn. And the sixth, from July 11, 1962, is a classic of the genre—the narrow genre, that is, of great women poets writing to their psychiatrists about their freshly busted philandering men. 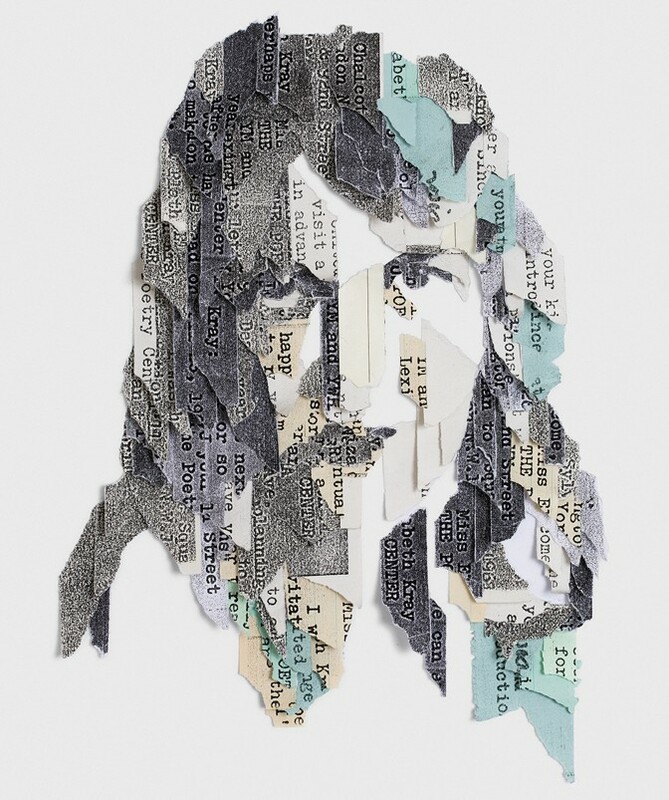 Stricken—broken, really—by the discovery that Hughes has been seeing another woman, Plath is nonetheless in full command, stylish and merciless, clinically keen, roaming the therapeutic space offered her by Beuscher. “Then everything went queer. Ted began to leap up in the morning & intercept the mail.” (How horribly this parodies the crouched-by-the-mailbox eagerness that the two apprentices used to share when awaiting acceptances or rejections. “At last,” Plath had written six years earlier, “I have found someone else who is pathologically avid to hear the gate-latch click & who recognizes the mailman’s steps a mile off!”) “He began to talk, utterly unlike him, of how he could write & direct film scripts, how he was going to win the Nobel Prize, how he had been asleep all the time we were married.” Did Hughes truly have his eye on the Nobel Prize? It’s not important. The salient thing here is the excitation, coolly observed: the giddily upped energy and the jangling dopamine of early adultery. Much violence follows, emotional and—one letter claims, with a shakiness explored by Frieda Hughes in her foreword—physical. “Ted is on the rampage … His favorite poem of his own is pure ego-Fascist, about a hawk.” (Plath is referring to “Hawk Roosting”: I kill where I please because it is all mine.) But the cruelest blow comes when Plath discovers the poems that Hughes has been writing to his lover, and is unable to prevent herself from acknowledging their artistry. “Many are fine poems,” she writes to Beuscher on September 29, 1962. “Absolute impassioned love poems.” She quotes a line she cannot forget: Now I have hacked the octopus off my ring finger. Which sounds more like one of the lines she was beginning to write, because Plath in her last weeks, in the cold London house, between sleeping pills and crying babies and an unrelenting flu, was being gripped and twisted by the wild poems that became the book Ariel. “It is like writing in a train tunnel, or God’s intestine,” she writes to the Anglo-Irish poet Richard Murphy. (“Lady Lazarus”: Out of the ash / I rise with my red hair / And I eat men like air.) It all feels so unsteady, so precarious, so barely controlled. Was Ariel a breakdown, or an artistic consummation? Both, obviously. The great big chomping Ariel voice is intoxicated with its own power; it glitters and it damns. The telling and retelling of this story will not end soon, because at the core of the Plath/Hughes nexus, the marriage of their talents, is a mythically compelling irony. He, full of agency, honoring his deep drives, etc., etc., does the boring thing: He has an affair. She, trapped and reduced and overwhelmed, does the remarkable thing: She writes a masterpiece. He, formerly the main character, exits shabbily sideways, while she explodes into an agony of authenticity. And then—hand in hand with winter, fever, and heartbreak—it kills her.